Far from a failure, the social network gave us Hangouts and Photos. Following the revelation of a security vulnerability that exposed the private data of up to 500,000 Google+ users, Google is finally ready to pull the plug on the consumer version of its troubled social network. Simply put, the company said Monday, Google+ has not achieved the broad consumer or developer adoption it had hoped for. Google even said that 90 percent of Google+ user sessions were lasting less than five seconds. This sums up the sad state of a service that, when it launched in 2011, Google dreamed of turning into a serious Facebook competitor. But, as the company turns the page and moves to make Google+ a fully fledged product for businesses (where it says it has found success), we can't ignore the fact the social network was a great incubator for some rather successful Google products. Google+ essentially became a playground for Google, turning into a testbed for features that were eventually launched as standalone apps, including Hangouts and Photos. In 2013, two years after the launch of Google+, Google took the site's group video chat feature (Hangouts) and created an entire messaging platform out of it. At the time, that space was basically owned by Skype, and Google saw an opportunity to do things better. 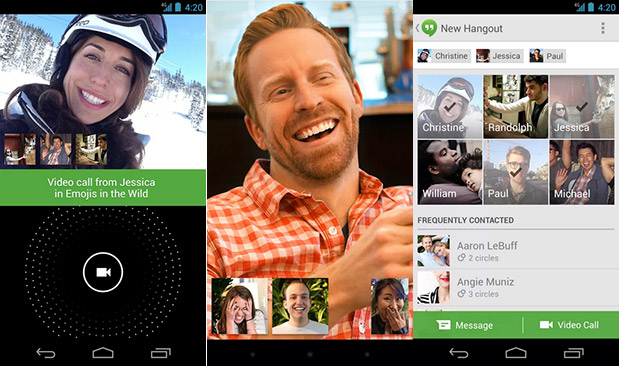 With Hangouts, people could audio/video chat with friends, as well as share pictures with them across various operating systems. Google said its goal was to build a real-time communication product that made conversations less difficult and platform agnostic, and it's safe to say it succeeded with Hangouts. Best of all, it was free to use. The search giant's idea was so smart that, naturally, Facebook decided to do something similar with its own messaging service, Messenger, which it rolled out as a standalone app in 2015. That same year, Google took another one of Google+'s best features and spun it off: Photos. Uploading pictures to Google+ was great because it made it simple to share your shots with friends, letting you easily create public (or private) links to them. It was also a great tool for photographers who wanted to upload super high-res shots and show their work off. Of course, the most exciting part about Google Photos is that it offered free, unlimited storage for mobile and web users -- so long as their images and videos were up to 16 megapixels and 1080p, respectively. If you want to upload higher resolution content, then you do have to pay a monthly fee starting at $2.99. While Hangouts and Photos are the most notable products to stem from Google+, you can see traces of its other features not just in Google services but rival social networks, as well. Google tried to redesign Google+ to focus on communities long before Facebook was making a huge push for Groups, which is now one of the company's most used products. Facebook's Groups have more than 1.4 billion monthly active users, a figure that probably makes Google only imagine what it could've been with Google+. At one point, Google+ also had real-time location-sharing, which Google eventually baked right into Maps and Hangouts. That's the handy feature that lets you see where your friends are, if they let you. And then there was Circles, a tool that allowed Google+ users to create different categories of friends and followers, then use those to choose who could view the content they posted on the site. With the web interface of Google+, you could view your contacts as, well, circles and then easily drag-and-drop them into categories like "Family," "Co-workers" or "Bros." You can still do this now in Google Contacts, though sadly it's not in the form of Circles. Unfortunately for Google, Google+ never achieved its full potential, but it shouldn't be considered a total failure like some of its other social ventures (we're looking at you, Buzz). 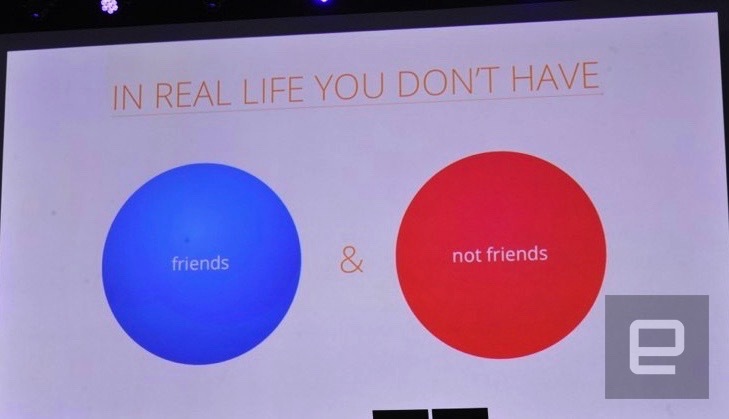 After all, if it wasn't for Google+, we wouldn't have Hangouts, Photos or even the fond memories of Circles. But not every ending can be a happy one, and Google+ is the perfect example: It took a massive data exposure for Google to finally admit basically no one was using the service and, because of that, it was best to finally put it out of its misery.